DETROIT -- Chrysler Group reported third quarter net income of $212 million, up from a net loss of $84 million a year earlier. Revenue rose 19 percent to $13.1 billion. The company ended the quarter with $9.5 billion in cash, down from $10.2 billion at the end of the second quarter. Chrysler now expects to post adjusted net income of $600 million for all of 2011, up from prior guidance ranging between $200 million and $500 million. The report, issued Thursday, came a day after the UAW narrowly ratified a new four-year agreement with the automaker. 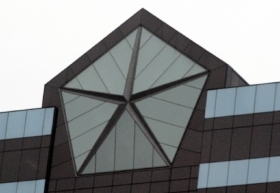 "Chrysler Group achieved increased sales and positive financial results, totally in line with the plan we laid out in November 2009," CEO Sergio Marchionne said in a statement. "And in October, together with the United Auto Workers, we crafted a solid four-year contract that will support us in our growth plans and significantly reward our employees for their contribution to the revival of Chrysler. "This house continues to be fully focused on financial performance and making outstanding cars and trucks by fully leveraging its alliance with Fiat." Chrysler's global sales were 496,000 for the third quarter, up 24 percent from a year earlier.